Snapping Turtles Need Your Voice Now! You can help Connecticut’s Snapping Turtles most effectively right now. Here’s why, and how to do it. House Bill No.5023 has been referred to the Committee on the Environment. The Proposed Bill would amend current law and protect Connecticut snapping turtles from commercial harvest. See below for a list of legislators email addresses so you can indicate to them your support for these ancient creatures who play a key role in our environment. For the past 45 years, the snapping turtle has been denied this protection, though state law, Sec. 26-78 protects all other wildlife. In 1971, a final sentence to the law was added: “The provisions of this section shall not apply to snapping turtles.” With those few words, this ancient reptile was dismissed, maligned, and endangered rather than valued as an apex predator and scavenger in the ecosystem. Much has happened in the past 45 years, leading up to what are now known as, “Troubled Times for Turtles”. Two hundred million years of quiet adaptability are not enough to combat today’s inexorable decline of slow and steady turtles. The increasing rate of decline is fueled by the rapacious demand for turtles by the newly prosperous Asian markets. Having depleted native species, Asia imports as many turtles it can get. The Asian community abroad, in California and New York, also demands turtles as a delicacy and for supposed medicinal reasons. 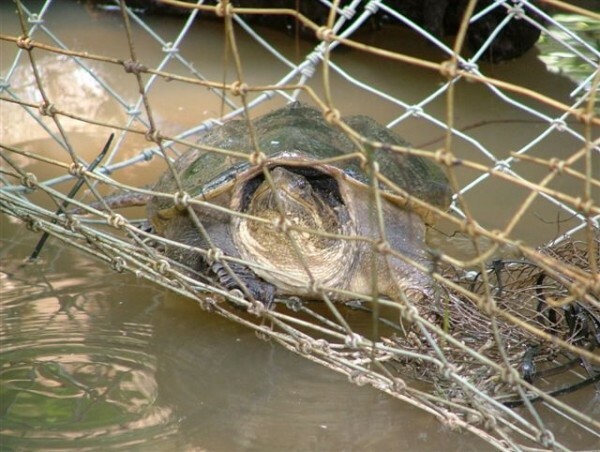 Connecticut’s snapping turtles are now even more vulnerable because surrounding states have banned commercial trapping – which pushes such operations into our state where protection is very weak. How many turtles are taken? One local commercial trapper testified that he had harvested 10,000 pounds in six weeks from the lower CT River. We should not be lulled into complacency by apparent abundance in some populations. Turtles are in trouble and we have an opportunity to help. Today, Proposed Bill No. 5023 recognizes the need to protect our snapping turtles from unsustainable commercial exploitation by deleting the last sentence of the outdated lay. Please, contact and urge member of the Environment Committee (emails addresses below) to raise the bill for a public hearing.